The North Melbourne Tasmanian Kangaroos thrashed Carlton by 36 points in a beautiful day down in Hobart. 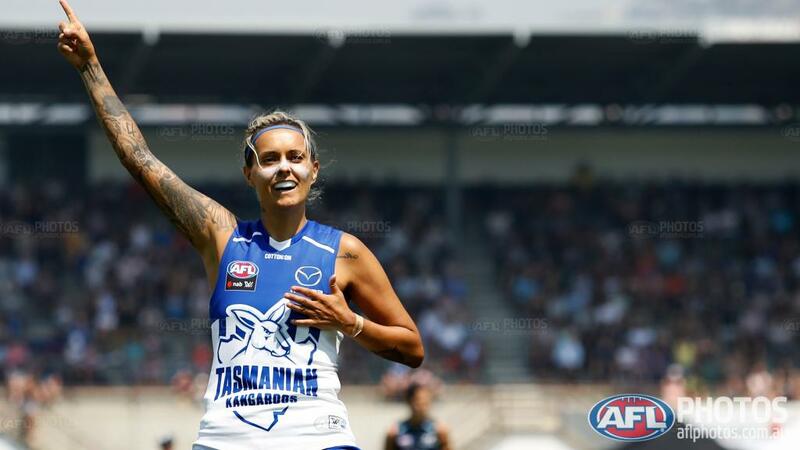 It was North Melbourne’s historic first win in their inaugural AFLW match against Carlton at Hobart Oval. North Melbourne really showed the rest of the competition that they would be a tough team to beat in AFLW 3.0 with their hard running, attacking football and the way they support and gel together as a team. Adelaide hosted the Western Bulldogs at Norwood Oval in front of 7,830 fans. It was a tight tussle from both teams who gave it their all in a high pressured and exciting contest. Adelaide’s woeful kicking towards goal cost them in the end in a narrow one-point loss to the reigning premiers the Western Bulldogs. It was a memorable win for the Western Bulldogs who had never registered a win against Adelaide. A grandstand finish for Geelong’s women’s team on a historic night for the club who pulled off a one point victory in front of their home crowd faithful. AFLW 3.0 opened at the home of newcomers Geelong Cats, GMHBA stadium who hosted Collingwood in front of 18,429 adoring Aussie Rules fans. It's exciting knowing that this time tomorrow AFLW 3.0 will be back and it sure is great to have football back for 2019! If the first two seasons of the AFLW are anything to go by as far as the growth of women’s sport and crowd attendances, then AFLW 3.0 will be biggest and best season yet with the inclusion of two new AFLW teams and the new conference format. The Lions will be out to prove themselves after being the team to beat in the first two seasons, as they made the grand final for two consecutive years but did not come away with the premiership, so will AFLW 3.0 be the season they finally finish the season on a high as AFLW premiers. 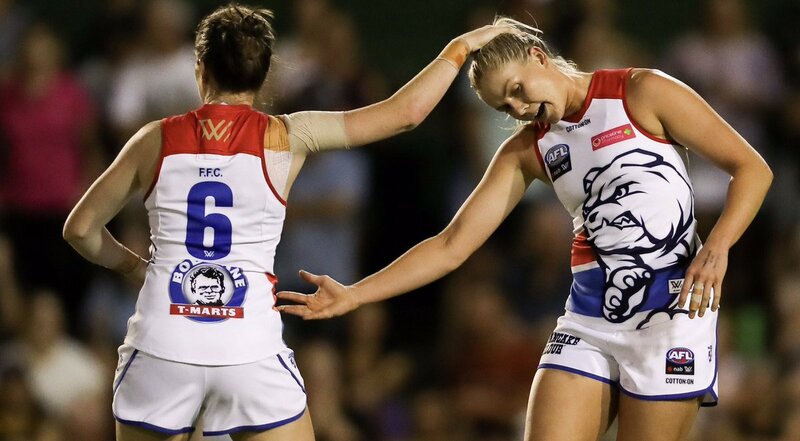 The Western Bulldogs will be the hunted this season after an incredible grand final upset win over the Lions, but the question is can the Dogs win back to back or will another team make history and win their first AFLW premiershipω In AFLW 3.0 the inclusion of North Melbourne Tasmanian Kangaroos and the Geelong Cats is massive. There is a lot of speculation that North Melbourne will provide headaches for the rest of the competition due to the amount of stars they have picked up from other clubs in the AFLW expansion including former Western Bulldogs captain and premiership player Emma Kearney and classy Lions trio Kaitlyn Ashmore, Brittany Gibson and Tahlia Randall. 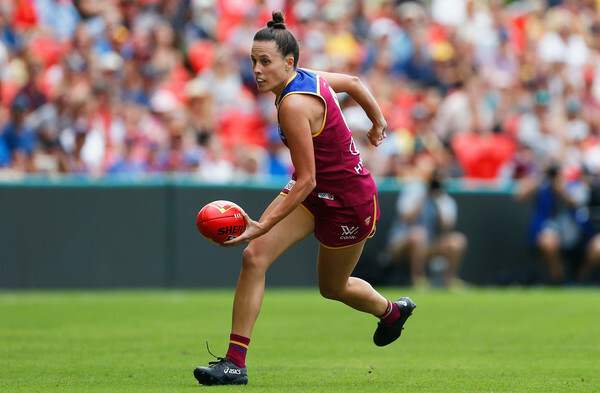 Since the inaugural AFLW season, Emma Zielke has been a household name at the Brisbane Lions with her leadership and star talent. Zielke handed over the captaincy to Leah Kaslar for AFLW 3.0. The AFLW is finally back for it's third season and it promises to be the best season of the AFLW yet with two new teams North Melbourne Tasmanian Kangaroos and Geelong Cats making history and joining the competition. 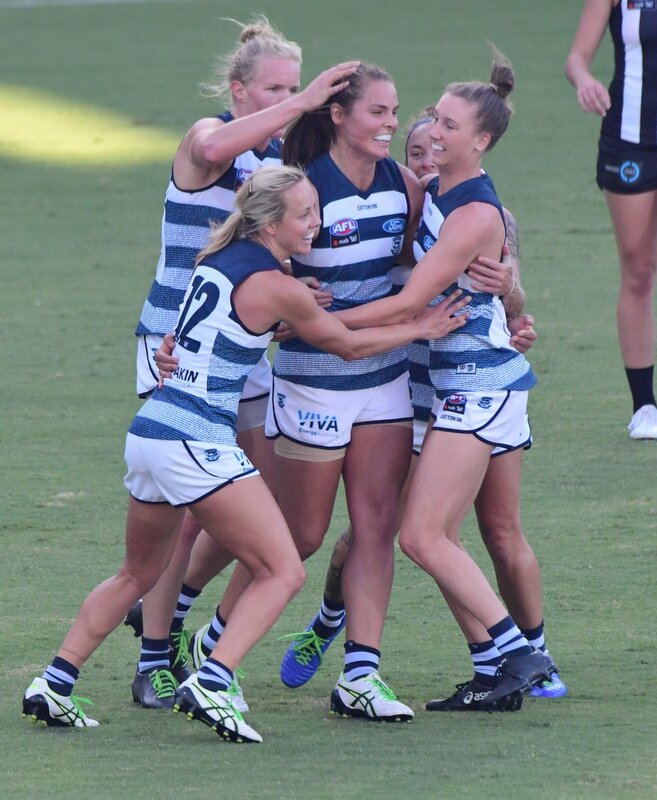 First match of the season will commence this Saturday at the cattery and this match will be a history breaking match for the Geelong Cats, a team playing their first ever AFLW match. After the off-season, footy is back in town this weekend with the much-anticipated return of the AFLW competition. Round 1 will see the debut matches for both Geelong and North Melbourne. It also sees the Western Bulldogs step onto the fields of battle to defend their 2018 premiership title. As the women's game continues to grow, the footballing community cannot wait to see the women warriors take the field. This includes younger women and girls who dream themselves of playing for their club on the way to a career at the top. Below is the AFLW promotional video released this week. It is a forlorn hope for St Mary’s. Two games out of the top five and a poor percentage with just three games to play means that the Saints can’t reach the NTFL Premier League finals. There just aren’t enough miracles left to make it happen. However, they can raise merry hell over the final three rounds, and they started last weekend against the Darwin Buffaloes. Snapping a four game losing streak, the incentive was there for the Saints. If finals aren’t going to happen, let’s make life difficult for those in the running. 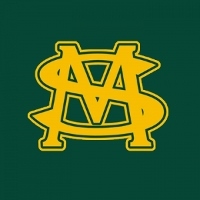 Their victory over the Buffaloes saw them come from behind at the main break and kick eleven goals to two in the second half to run out 37 point winners. The loss for the Buffaloes may not see them miss finals, but it will give them the shakes, knowing they are far from invincible. 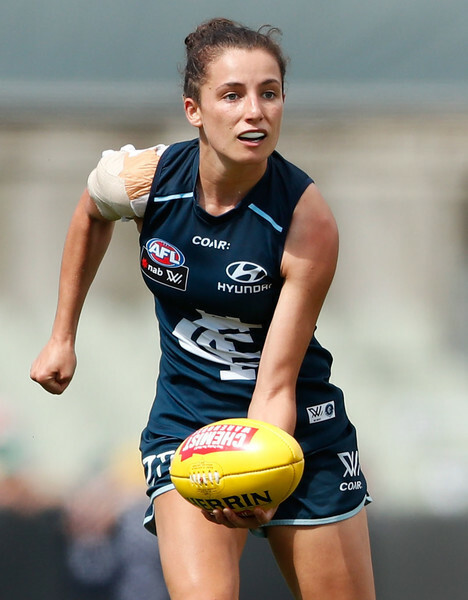 Gab Pound has called Carlton home since 2017 when she made her debut in Round 1 against Collingwood. Fremantle Dockers AFLW best and fairest winner Ebony Antonio is primed and raring to go as the 2019 AFLW season is almost upon us. Antonio debuted for the Dockers in Round 1, 2017 against the Western Bulldogs and it was a surreal feeling for her. “It’s hard to describe that feeling but yes I guess it was quite overwhelming,” Antonio said.